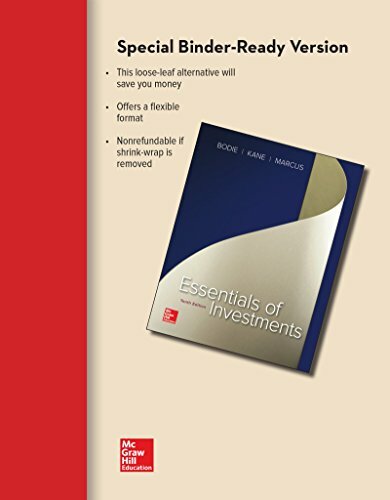 The market leading undergraduate investments textbook, Essentials of Investments by Bodie, Kane, and Marcus, emphasizes asset allocation while presenting the practical applications of investment theory. The authors have eliminated unnecessary mathematical detail and concentrate on the intuition and insights that will be useful to practitioners throughout their careers as new ideas and challenges emerge from the financial marketplace. The Tenth Edition includes increased attention to changes in market structure and trading technology, while continuing to be organized around one basic theme - that security markets are nearly efficient.